There's a reason Microsoft left such a huge chasm between CEO's - remember the hijinks of Steve B? and congratulations to new CEO Satya Nadella - it seems the folk that pick these people might need a little self reflection. Having ranted all that, it seems the new CEO has done something we all thought unattainable, he's made people give a f_ck about Microsoft for the first time in years. 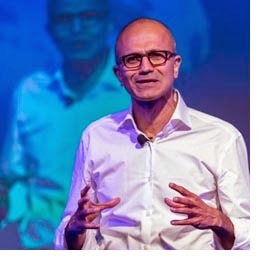 Nadella achieved this emotional engagement by offering up the most misogynisticly deplorable advice to women in the workplace since Australia's Prime Minister advised girls to back up their expectations.